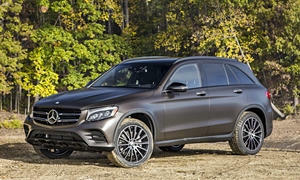 Would love a premium branded SUV with as many bells and whistles money can buy within my budget of 45-46K. I need a reliable brand but can make some compromises. If none of the above brands workout, I'm looking at a fully loaded Nissan Murano or a Ford Edge Sport. But Id love to hear from anyone about their thoughts on Ford Edge Sport, Ford's reliability and repairs and so on. I was going to suggest the Land Rover but I see you've already considered one! I've done research and kept an eye on the market for the last year or so. Personally I'd get one and I think I'll make the move if my Audi A4 ever packs it in (unlikely as its extremely reliable). The reason why I like them so much is the engine first of all, which the 2.0l is fairly fuel efficient and turbocharged. The quality of materials and the layout is pretty awesome as well. 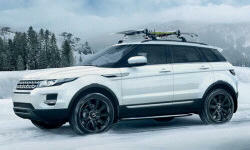 For being a "cheaper" Land Rover I like the design way better than its bigger brothers. The resale, at least here in Canada is pretty good. Lincoln and Cadillac I find are cheap in quality compared to European vehicles. Acuras are premium Hondas and Mercedes will cost you a mint for parts and labour. Jaguars are pretty sweet but I don't know how reliable they are as I don't know anyone that owns one. I agree BMW isn't what it used to be. Audi... 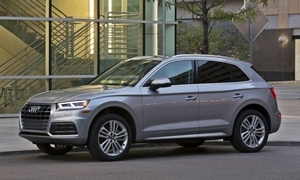 I considered the Q5 myself but I agree, way too expensive and there's others that are more luxurious in that price range. However, you're paying for the legendary Quattro AWD system that in my opinion is the best. Let us know what you decide on and why! Couldn't you add an extra 1K for the BMW and have the dealer deliver the car to you with standard tires? Check out the Mazda CX-7. Doesn't have the brand cachet of the vehicles you mentioned but includes everything you are looking for, should be more reliable than any of the European brands, and is priced right. I think DarronS meant the CX-9. They haven't offered the CX-7 in a few years, and when they did those with the turbo engine could be terribly unreliable. Than ks for the correction. I did mean the CX-9. Also, I get bored of materialistic things pretty often and I am already bored of the Mazda infotainment. I do realize I have too many constraints, but I can compromise on some stuff more than others. Keeping that in mind, the following are my filtered choices in the same order. 5. 2017 Lincoln MKX Reserve (Slightly over 46K but gets me every option I can think of that money can buy). I test drove one yesterday and liked it alright. MKC was too small and the rear seat legroom was pretty bad. 6. 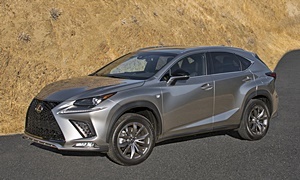 2017 Lexus NX or a base RX - But I hate the infotainment and the stupid joystick control. But the brand is reliable so am thinking if I should compromise on the infotainment. I love the aggressive looks of the Lexus SUVs though. 7. If none of the above cuts it, then a fully loaded 2017.5 Nissan Murano(Midnight editions looks pretty good....Like I said, I like the aggressive, stylish looks) or a 2017 Ford Edge Sport. Anyone has any thoughts on Volvo XC60? I know we're awaiting a new/refreshed 2018 model so the price is still a big question. 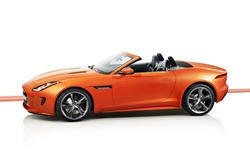 But how about the older models and relaibility/infotainment/maintenance costs and so on? Thank you. I'll look into that. How about the long term costs involved with BMW? Are they as expensive as Mercedes vehicles, on the long run? 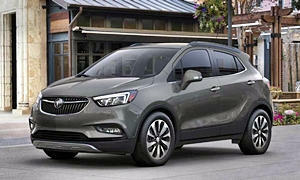 We picked up a 2016 Buick Envision Prem ll used with 3,000 miles that had a MSRP of $49,320 for $36K It is quite the ride and loaded with technology. It rides very smooth and handles good enough to whip through traffic in a hurry. At prices of new 2016 Prem l for $29K from a MSRP in Midwest it is worth a look if you are not leasing. Otherwise 2017's go for $35K and get Android infotainment. Personally didn't think it was worth the price just for the infotaiblnment. According to yourmechanic.com, BMWs are more expensive than almost every other car brand by far. Mercedes is second and Cadillac third. If you really want reliability in a luxury car, you have to go with a Lexus. You're kind of restricted because every other luxury brand is pretty unreliable (Acura has fallen too). 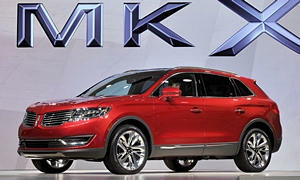 Also, you'll get way more bells and whistles on a fully loaded Honda Pilot, Toyota Highlander, and Mazda CX-9. For $45-46k, you can get style, but not any substance. What I mean is that base bottom of the line Jag F-Paces, Cadillac XT5s, Audi Q5s, etc are not as practical (which I doubt is a big deal when buying a luxury car), reliable, or feature-filled as a mainstream Honda, Toyota, or Mazda. 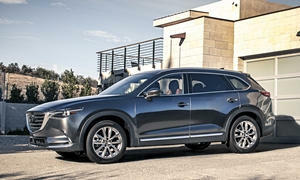 With that in mind, I'd test drive a Mazda CX-9 Signature. It's super stiylish and handles like a sporty car. The Mercedes GLC is also a car you should check out as a base model (I think it has active safety features as standard). Reliability is iffy, but better than many on your list. Ford's reliability has been pretty poor for a while. The Edge is a good car, but reliability has been so-so. On your list, you have some cars that are very unreliable like the Land Rover, Jag, Ford, and Cadillac. The Lexus NX fully optioned would be my choice on your list, then the Nissan Murano, and RX. I'd still look at the CX-9 Signature and MB GLC though before you buy. 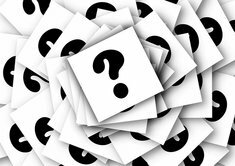 Don't forget to come back and tell us what you got! Good Luck! Toyota/Lexus will not be offering Android or Apple car infotainment systems like everyone else. We'll see how going it alone does for them. 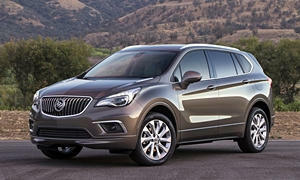 I'll reaffirm the Buick Envision Premium 2.0T that can be found under $30,000, or over 1/3rd msrp. No other car will offer feature content that the discounted Envision does.